Fave SOS things: When my inbox is empty. Seeing scruffs randomly on the street. When my friends/family members reach out to me and tell me they heard someone talking about SOS. Seeing the friggen dedication from ppl I don't even know. Dogs. Fave Non-SOS things: Rainbows. Clouds. Bubbles. Really good lighting. Fairy lights. More lights. Crystals putting rainbows on walls. Tie dye. Guacamole. Really good music. Learning new things. Passionate people. Really good life chats. Fave SOS things: All of the dogs...including my own scruff, Pac! Helping fosters and their pups become the best they can be. Saving dogs and taking names. The amazing SOS community...that’s actually everywhere!!! Fave Non-SOS things: The environment, hiking with my dog, wildlife, anything coconut, the ocean, a good John Hughes movie or seven. Fave SOS things: Aside from adorable pups?! The amazing dedication SOS has to helping deserving dogs around the world. The team's commitment is truly inspiring - it's wonderful to see a group of individuals come together and create such a powerful force for good! Also looking forward to my future foster fail, it's only a matter of time. Fave Non-SOS things: Doing all the crafts, adventures in the great outdoors, daydreaming about travelling to far off places, and eating cookies! Fave SOS things: Always having great dog photos in my inbox, and wishing I could adopt them all. How dedicated the team at SOS is to rescuing as many dogs as possible, and finding them furever homes. Fave Non-SOS things: Traveling, art history, pasta. Being creative. Caramel iced coffees and cinnamon dolce lattes. Fave SOS things: Working with dogs of all breeds, age and personalities. Being able to watch a dogs adoption journey from the second it steps off the plane to walks into its forever home. Fave Non-SOS things: Spending time with my own dog, Duke, cooking up a storm and travelling. Fave SOS things: Working alongside some amazing people who constantly support, inspire and teach one another. The added benefit? We get to find some amazing dogs their loving furever homes! Fave Non-SOS things: My 20-year-old cat, Bob, discovering new music, heading to the cottage, travel, candy cane ice cream and hanging out with friends and family. Fave SOS things: My Scruff Success and Foster Fail, Georgia! As well as, my Scruff nieces, Rachel and Monica! Fave Non-SOS things: Adventures in Ontario and beyond, camping, anywhere near a lake with a sunset, and coffee! Fave SOS things: community love!!!!! oh and cuddling with cutie adoptables! Fave Non-SOS things: Yoga please!!!!! and heading up to the cottage as much as possible! Fave SOS things: My chihuahua, Andy — an SOS foster fail from Texas. Fave Non-SOS things: My other dog Snapple, a rescue from California. Fave SOS things: my foster fail Rufo, rescuing dogs (duh), helping dogs find their furever home and helping people find a new member of their family, meeting new people, working alongside strong, empowering women that have now become my friends/family. Fave SOS things: Being on a team of powerful and kind humans who all support each other to save more pups, & the dogs, of course! Fave Non- SOS things: (Top 5) Yoga, ice cream, football, watching the Office on Netflix and kind people! 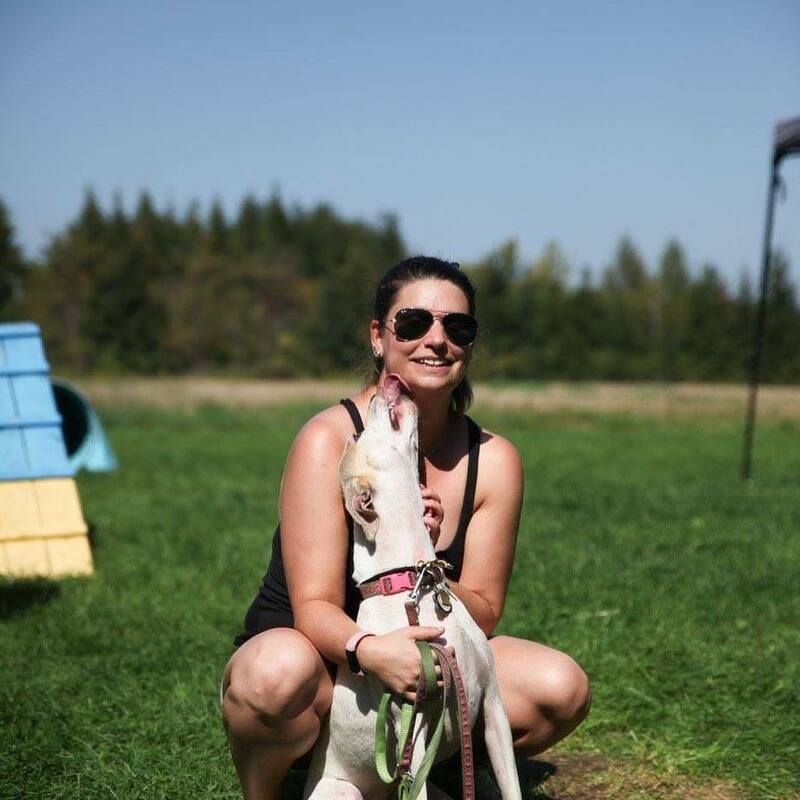 Fave SOS Things: Being part of a team that connects amazing dogs with their furever home! 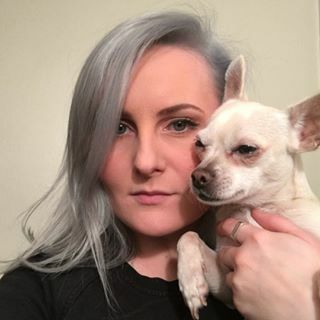 I also love that every time I connect a dog with their new owner in our database, I get to see the goofy picture of that pup. It puts the biggest smile on my face and makes my day! Fave Non-SOS Things: Spending time with my Husband, daughter & dog! Watching my daughter and dog eat gold fishes together. Binge watching series on Netflix. Listening to Bon Jovi. Lots and lots of Coffee. Bulk Barn (enough said) & mini-eggs. Fave SOS things: helping people find their perfect pooch and stalking them on social media afterward to see how they're doing, plus fostering! Fave Non-SOS things: giraffes, wine, trashy reality TV and true crime documentaries. 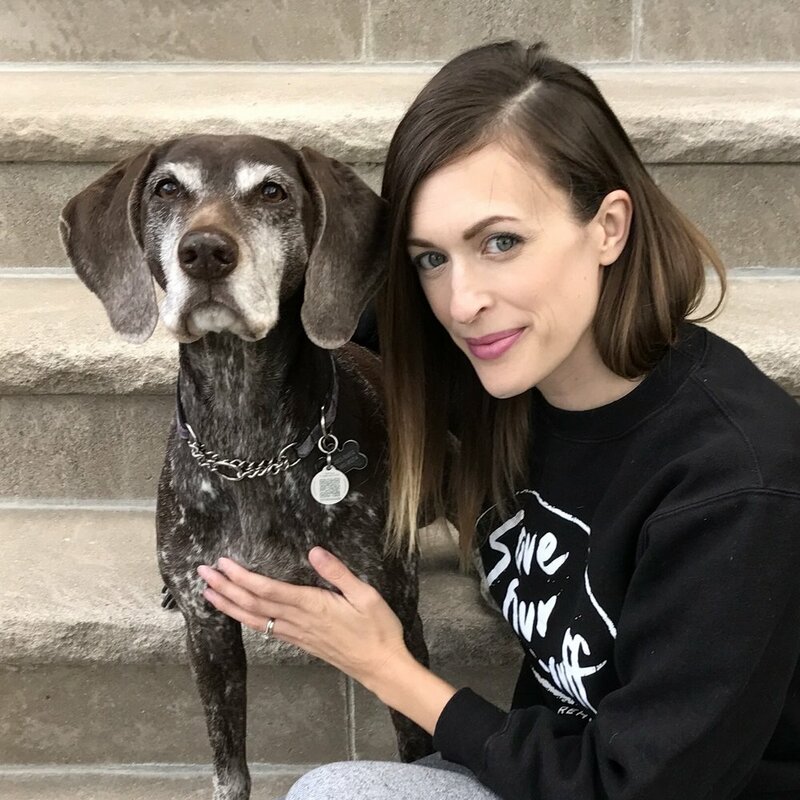 Fave non-SOS things: My senior pup Penny. My kids. Chris. Family. Baking Cakes. Taking Photos. Drinking Wine. Laughing. Learning to play hockey. Chatting. Fave Non-SOS things: My personal collection of humans... 80's Pop Music & late 90's Boybands... Black coffee ... & the Hamilton Ticats. Fave SOS things: Dogs. The Preloved clothing line. Sending "Congrats You Adopted a Dog" e-mails. Fave Non-SOS things: Camping. Dodgeball. Lays Dill Pickle Chips. Social Justice. Dogs (k and also cats). Horror Movies. Theatre. Fave SOS things: DOGS!, travelling to warm places to rescue dogs, helping match people with their dog 'soulmate'. Fave SOS Things: Being able to help match our scruffs with their perfect family! Getting to hang with our scruffs at events, success stories!!! Fave Non-SOS Things: My own pups (Charlie, and Opal - scruff alum) Traveling and rocking out to classic Disney music! Fave SOS things: My foster fail Bridgette, all my previous fosters who I regularly stalk on Instagram, the SOS community, the amazing foster team! Fave Non-SOS things: My other pup Tuna, cottaging, wine, soccer, true crime docs and books, reading, baking, attempting to garden but usually killing all the plants, kale salads, mint chip ice cream, popcorn! Fave SOS things: Meeting all the dogs! Fave Non-SOS things: My daughter/family. Camping and the outdoors. Wildlife. My two dogs and multiple other pets. Fave SOS things: Helping dogs in need find their people! And working with a team of endlessly helpful and thoughtful people. Fave Non-SOS things: My rescue mutt Ned, sleeping in tents, lake swims, craft beer, thick books, breakfast food. Fave SOS things: I absolutely adore dogs but my favourite SOS moments are when a dog is placed in the right home and the joy you see both on the parents and dog's face! Fave Non-SOS things: Huge fan of traveling, food, coffee, rom coms and staying in bed on a Sunday! Fave SOS things: My super awesome scruff, Cheesy! Seeing first hand how the support of our community directly helps us to help dogs. Awesome SOS events like the Scuff Social and the SOS Garage Sale! All of the amazing volunteers who selflessly and endlessly help and support us! Fave Non-SOS things: my other dog & Cheesy’s best bud and partner in crime, THOR! Road trips. Cottaging. Summer beers. Coffee. Pumpkin spice everything. Graffiti! Started with SOS: 2017...but I have been following since the beginning does that count? haha! Fave SOS things: ALL the dogs!!! I love everything about SOS, the people, the dogs, and the community that supports SOS! Getting to meet new people along the way that take in all these scruffs makes it all worth it! Fave Non-SOS things: All animals, especially my Max and Nala! My niece Madison! Sunsets, baseball, my family and friends, anything outdoors, dance and music! Fave SOS things: Saving lives, happy endings, meeting like minded fur-loving people, learning new skills, being part of a team, making dreams come true, fulfilling my passion. Fave Non-SOS things: Travel, retirement, participating in St. John's Ambulance Therapy Dog Program with my dog Mia, family, poetry, specialty coffee, paying it forward, sunrises, sunsets, making a difference. Started with SOS: I started with SOS in 2015 as a foster parent. Fave SOS things: The SOS Instagram bios for each dog. Seeing pups from around the world find their forever families. The SOS community of amazing people. 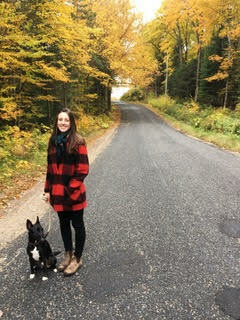 Fave Non-SOS things: Traveling, chocolate, trying Toronto restaurants, running, obviously dogs and did I say chocolate!? Fave SOS things: Being a part of this amazing community of dog loving people. The fact that my Facebook homepage is now just filled with adorable pup photos. Dominican Spay and Neuter clinics. Fave Non-SOS things: Marshall. Travel. Coffee. Weighted blankets. Outdoor adventures. Crime podcasts. Franks Red Hot. Fave SOS things: The SOS Community and laughing to myself while writing dog bios. How silly. Fave Non-SOS things: My dog, Jack! Also known as Jack-Jackson and Jack the lad. Hot yoga. Guacamole and chips. Going to all the art galleries. A really good rom com (duh)! Traveling with my family.